Solder "tinned area" of tips pated with lead-free solder. 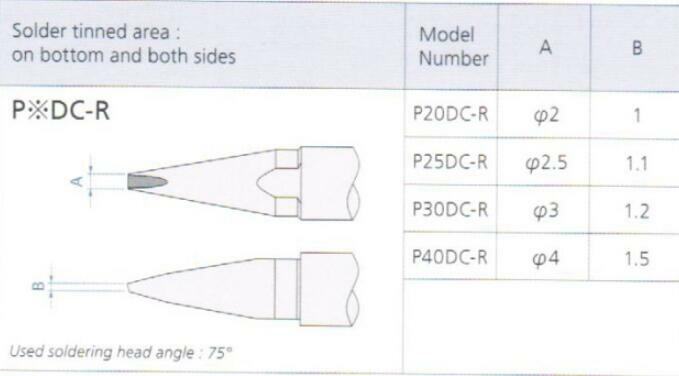 Custom tips tailored to the customer's specifications can be designed and built in multiples of 10. 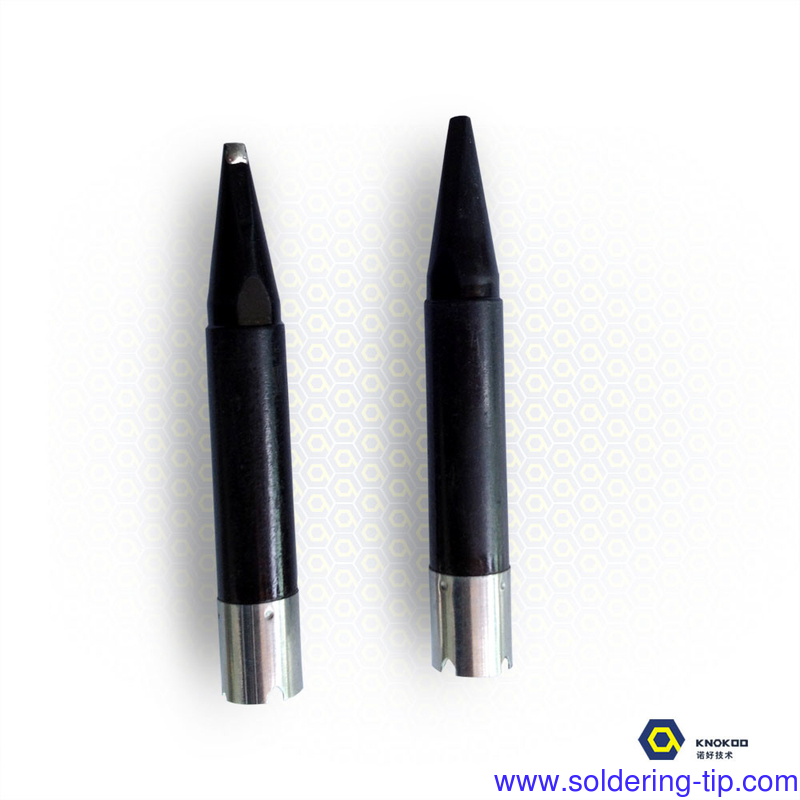 Heaters dedicated to automatic soldering with calculated tip thermal conductance,thermal capacities and thermal efficiencies. Available with three heater sizes,ranging from 100W to 300W.